Born in Athens Greece, studied sociology. Started her radio career in 1996 on groundbreaking radio station Klik Fm. Moved onto Best Radio in 2001 with the show Best Weekend Mix catering to dance music lovers all over the world. Hosted the dance music show on Mad TV for 4 years. Has lent her voice to countless TV and radio commercial ads and from 2010 till the present is the official “voice” of the Onassis Cultural Foundation. She was resident dj of legendary greek club +Soda at its peak. 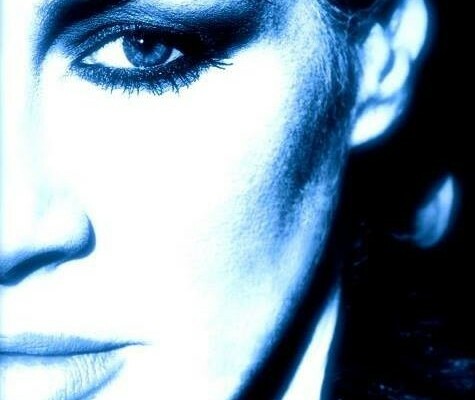 She has released 6 mixed compilations (Believer 1&2, Sleepless Drive 1&2 and Back2Back Sessions 1&2 with G.Pal) The song “Ocean Of Blue” featuring her vocals was characterized a dance classic in greek electronica and received international acclaim. Has djed around the globe ( Canada,France, Germany, Romania, Poland, Albania, Bulgaria, Cyprus, Turkey. Egypt, Dubai, Argentina and Lithuania where she returns to at least twice a year) and in some of the best clubs in the world like Stereo Montreal, Pacha Argentina, Exit Kaunas, Cavo Paradiso Mykonos, +Soda Athens. In 2011 she finished her singing studies at the Greek National Conservatory of Music, and wrote a song for greek feature film Paradise, as well as for the act Lovechild. Has also collaborated with greek producer Stelios Vassiloudis on 2 songs of his debut album, out November 2011 on Bedrock. From November 2013 until April 2014 she hosted and producied the prime time midday slot on 88.6 Radio, as well as a live dj set for the web child of legendary Best Radio team, www.joinradio.gr every Thursday at 10pm to midnight. She also produces The Sleepless Drive Sessions mix show for electronic music web radio www.radiomustathens.com. With a very hectic radio schedule and full time job as a single mother she nevertheless is currently in studio working on her debut artist album.